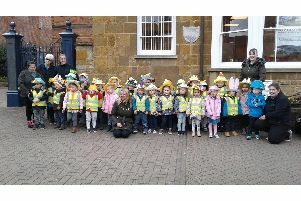 Harborough’s popularity could result in it expanding too quickly, as a host of developers bid to grab a piece of land in the area, a councillor has warned. Plans for at least 300 new houses have been received by Harborough District Council in the last few days. The houses are in four different proposed estates; two in Market Harborough, one in Great Bowden and one in Kibworth. And a fifth plan, for a new development north of Great Bowden, is in the pipeline, the Mail understands. Liberal Democrat councillor Phil Knowles said: “I think there’s an element here of a successful town and area attracting too many developers simply because of that. Success breeds success, and developers might well be saying ‘maybe we can get some more houses in there’. * Scheme one is for 99 new houses on a development off Farndon Road, Market Harborough, either side of the existing Angell Drive / Burton Street. This site already has outline planning permission. The other three developers are seeking outline planning permission to build houses. * Scheme two is from Barratt Homes, asking for permission to build up to 100 new houses on land east of Wentworth Close, Kibworth Beauchamp. * Scheme three is from Redrow Homes South Midlands, asking for up to 70 new houses off Berry Close Great Bowden. * And scheme four is for 40 new houses at the end of Dunmore Road in Little Bowden. Harborough District Council’s Conservative leader Cllr Blake Pain said: “Obviously there’s nothing the planning committee can do about receiving planning applications - particularly if you live in an attractive, successful area. “But we work to balance development with control, and we’re working hard on having proper local plans across the Harborough district. “We have to remember too that we’ve been under-delivering on housing throughout the country, which is making housing too expensive, particularly for young people.